At the corner of Riverside and 19th Avenue in Minneapolis, nestled above the recently reopened Viking Bar, sits the center of operations and home of the GLITCH family. Ascending the steps into the newly renovated suite housing the organization, I was instantly greeted by the cozy and open space comprising hardwood floors, brick walls, large windows, comfortable furniture, and scores of games—both digital and hobby—stacked on shelves surrounding a large television and entertainment center. I was then welcomed by friendly faces (particularly operations director Katie Simning at the front desk), an offer of tea, and the gentle curiosity of the friendly pup, Icarus, who lounged among the sofas and chairs, keeping the GLITCH staff company for the evening. Even though it was a cold November night, I felt warm as I sipped my tea and awaited my meeting with Evva Kraikul, one of the founders of GLITCH. GLITCH is a “community-driven arts and education center for emerging game makers,” Kraikul explained to me as we began our conversation on the couches near the game-stacked bookcases. As we continued, I realized that, while that is indeed true, GLITCH is also so much more. On a given night, one might find several campaigns of newbie-friendly Dungeons & Dragons sprawled out among tables set up throughout the office space, folks trying their hand at virtual-reality experiences during VR Night, the murmur from lively discussions during Co-Op Talks—a kind of book-club-type discussion group for gaming topics—or simply a relaxing evening with staff and community members working on whatever projects they might have. 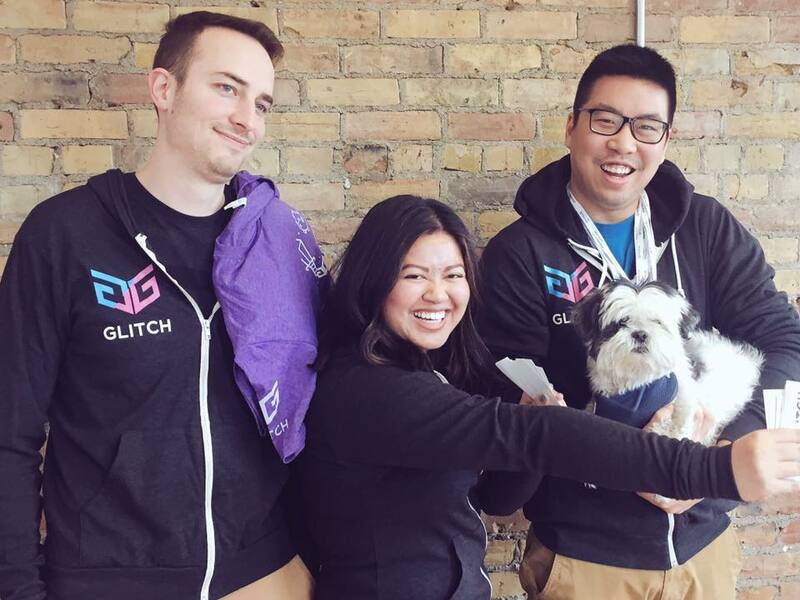 GLITCH is definitely an arts and education center, but it also an event hub and communal connecting space catering to Minnesota’s large, and growing, gaming community. Kraikul and GLITCH’s co-founder, Nic VanMeerten, came together to create the organization upon realizing there wasn’t quite anything out there that reflected just what they wanted to do with their lives. Before that, however, Kraikul started out on a slightly different path while attaining her degree from the University of Minnesota. “I studied neuroscience and double majored in psychology,” she told me. “I originally started working in a couple of different laboratories—my first laboratory, I was studying synaptic plasticity and addiction. And at my second one after that, I was studying primarily IPRGCs, which [stands for] intrinsically photosensitive [retinal] ganglion cells. Thus, GLITCH was born. But while her path shifted, Evva never fully left the hard sciences behind. In essence, GLITCH, alongside the greater gaming industry, exists at an interesting crossroads: an intersection between STEM and art. While this is a fascinating space to be—incorporating the arts, sciences, and other areas of expertise—Kraikul explained that with innovation comes skepticism, and the field hasn’t quite been fully accepted as either a science or an art. Despite these struggles, GLITCH, like the gaming community at large, continues to thrive. While attempting to find alignment with arts or science communities, perhaps the organization has begun to blaze its own trail, something independent of conventional labels and definitions. Maybe the programing, ideas, and innovation—things that have attracted individuals from countless different fields—make it something unique unto itself. For those interested in learning more about UX, the things that GLITCH does, or simply the greater gaming community, Kraikul recommends Celia Hodent’s book The Gamer’s Brain, Don Norman’s User Centered System Design: New Perspectives on Human-Computer Interaction, and Brenda Romero’s and Ian Shreiber’s Challenges for Game Designers. She would also suggest exploring the talks and information provided by the Game UX Summit as well as the Game Developers Conference. To dig a little deeper, one might also connect with other like-minded individuals through the Games UX Slack channel or the Games User Research Discord. On top of all this, of course, one should definitely look at the GLITCH website itself and be sure to check out some of the many events and programs offered not only to experienced gamers and developers but those with a casual interest as well.